The fast-moving London rental market can be a daunting place. But with Zoopla’s tools at your fingertips, life suddenly becomes a whole lot easier. If it's the first time you've looked for a rental home in London, or it's been a while since the last time you did, you might not know about the smart tools available on Zoopla which are designed to make the process easier. You'll probably have an idea of what part of London you want to rent in. 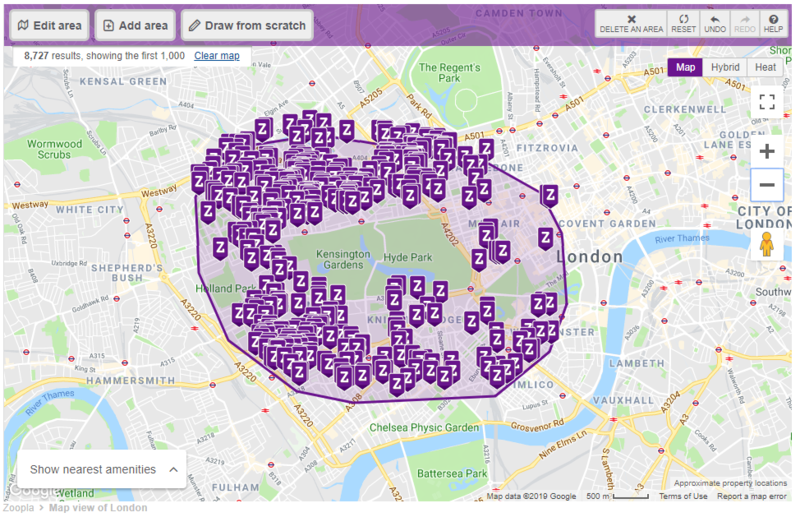 So tailor your rental search accordingly by selecting ‘draw from scratch’ in Zoopla's map view. Then use your mouse to draw your own personalised borders. We've demonstrated below with West London. Note you won't be able to use the drawing tool if you're using the app or Zoopla's mobile site. But you can still search by map simply by tapping Map View. For most Londoners, travel is part of the daily routine. So understanding how long your potential journey to work might take should be a crucial factor in your property search. Zoopla's Travel time search tool allows you to find homes that fall within a commuting time, as dictated by you. Type in the name or postcode of your daily destination, select your method of transport and you'll only be shown rental property that matches your timing requirements. 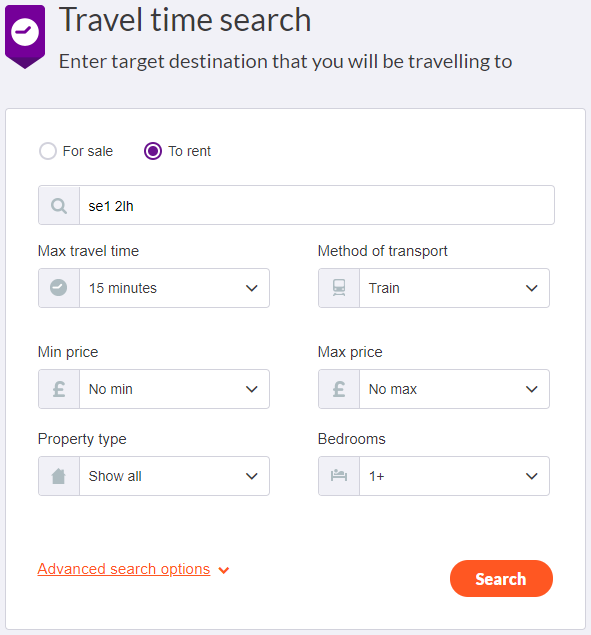 You can target your rental property search further by using Zoopla's advanced search feature. It allows you to filter homes in a variety of ways, for example furnished or unfurnished, on a short let or with a garden. And the Keywords search tool means you can pin-point homes with exact features such as a “double garage” or “open-plan kitchen”. Use quotation marks to search for exact phrases and, if you want to actively exclude terms, just prefix them with a minus sign, such as “-ground floor” or “-studio”. To keep one step ahead of other London renters, you can opt to be shown only the newest batch of properties up for rent – right down to the last 24 hours – with Zoopla's 'Added' filter. The rent itself is only part of the equation when it comes to cost. The responsibility of all monthly household bills including council tax, energy, water and contents insurance, will also fall to the tenant. To get an idea of how much a rental home will cost to run in its entirety, use Zoopla's Running Costs tool which you'll find at the bottom of each listing. You find more information about running costs here. You'll need to plan and budget for the actual move too. With help from our partner AnyVan, you can get an instant quote based on your needs – just specify the number of bedrooms and the distance you are moving. Repairs and the décor of the property you rent will be responsibility of your landlord. But, for the sake of ease, there may be times when you agree to get some quotes on their behalf. If this is the case, save time and energy with our partner Plentific. Post your job and let the quotes come to you.